If you have questions not listed here, please contact us for more information. Being a small business in a competitive market we have proven to please our customers and set us apart from the competitors. We pride ourselves on competitive pricing, exceptional service, and great turn around time, all while delivering a quality product. 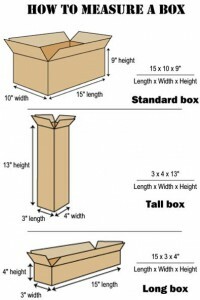 Standard boxes are measured: Length x width x height where the height is the vertical dimension of the box when the opening is facing upwards. What are the differences in board grade? If you need help determining the best board grade for your job, please use our Board Grade Calculator. Since Riverdale is a custom manufacturer, our minimum order requirement will be determined on a per order basis. Do you stock any boxes? We stock sheets so that we can quickly make your custom boxes for you as well as have our warehousing program for customers that need their boxes stocked and stored on site, but we do not stock a large quantity of boxes. What are the hours for picking up? Pick ups are to be made between the hours of 7 am and 2 pm unless other arrangements are made. Contact us with questions, or would like more info about our products.